February 8, 2016 – Welcome again to HDR News You Can Use! The holidays are over and winter has set in. This is when the weather can bring you crystal clear air and new fallen snow or the wet mess of a storm. Either way getting out there and photographing will up your game and reward you with some winners. Winter provides incredibly beautiful opportunities for the HDR photographer but, there are variables you need to manage in winter to be successful. Snow will throw your camera’s meter off by as much as 3 stops, auto focus can be rendered useless by falling snow and battery life is greatly shortened by the cold. 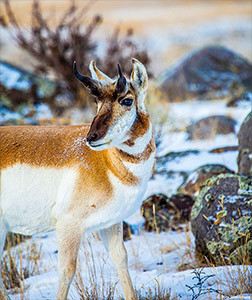 A great article by Rick Sheremeta in Outdoor Photography will show you how to manage these and other pitfalls in winter photography. It contained winter shooting tips that were new even to us! Sheremeta and his wife Dody own and operate Alpenglow Productions, LLC in northwestern Montana. WHAT MAKES A PHOTO MEMORABLE? Would it surprise you that the historic photos of 1989’s “Tank Man” in Tiananmen Square and Neil Armstrong walking on the moon are only moderately “memorable”? According to an algorithm developed by MIT researchers these photos and most landscapes are rated as having low to medium memorability. In case you missed it, Nikon introduced two cameras at the Consumer Electronics Show in Las Vegas; the pro-targeted D5 and the enthusiast oriended D500. The D5 replaces the professional workhorse D4S at a hefty list price of $6,499.95. More interesting for the up-and-coming photographer is the long awaited D500 which replaces the D300S after a six-year wait. 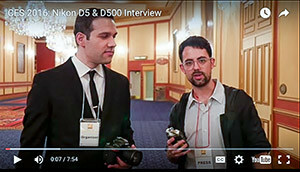 Check out the interview with Nikon DSLR Product Manager Mark Soares to get an idea of the features . 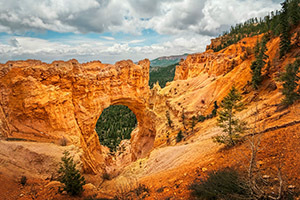 HDR photographers can tend to lean toward viewing landscape photography. But every so often it’s good for the creative juices to look outside your comfort area. 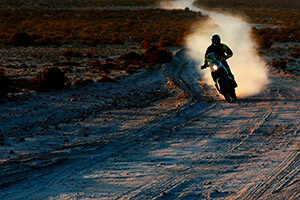 We were impressed with this photo set of the Dakar roadrace that, in addition the action, shows great landscapes. Check it out.